We had a wonderful Neighborhood Watch meeting on August 16. Ms. Hightower (Public Education Specialist for the Center Precinct) and Officer Anderson did DeKalb County Police proud with their informative and engaging presentations. DeKalb County police is divided into precincts, and we are in the Center Precinct. there are crimes that are typical for shopping centers and they rarely bleed over onto the neighboring community, however, avoid creating "window-shopping" scenarios for criminals who may be nearby. Do not leave "stealable" items in plain sight. This could be purses/computer bags or GPS units in cars, or wide-screen TVs visible through windows. If you can't park the car so it is out of sight, remove all items and lock the car. Some owners leave cars unlocked thinking this may prevent damages, but some thieves cause damage if they don't find anything to steal, so it's best to lock the car. 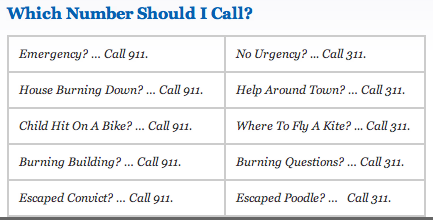 when to call 911: "if your gut says something is wrong" and if the matter is not a civil issue [FYI: here is a list of criminal offenses]. Per DeKalb County, all of the following are 911 calls: crimes in progress, public safety, life-threatening siutations, fire and medical emergencies, all violent crimes, domestic violence, vehicle crashes. DeKalb County's policy is that patrol cars only have "lights and sirens on" in situations when someone's life is in danger. The correct response for drivers is to move to the right and allow the patrol or emergency vehicle to proceed. 911 calls go the precinct, and the precinct is divided into beats. The call center prioritizes the call and broadcasts the information so patrols can respond. "Life in danger" situations such as accidents, robberies and assaults have first priority. A call about a suspicious drive-through would have lower priority if higher priority events are in progress. Because the police force is stretched thin, response times will vary depending on the availability of officers. Ms. Hightower estimated that response time for a high priority call is 7-8 minutes assuming there are available patrols. However, the typical kick-in-door-grab-things-and-go robbery takes 5-10 minutes. Officers do not have citation quotas to fill. Because the police force is stretched thin due to budget cuts, they spend most of their time handling urgent calls. If there's a lull (meaning, no 911 calls), then they can switch to monitoring traffic violations. A lot of arrests (of suspects involved in other crimes) are made as part of routine traffic patrols. A responding officer should have a name badge as well as a shield that shows the officer's unique identifying badge number. When someone knocks on your door, look first to decide if you will answer. Ask the person to identify themselves. Ask them to show their permit. Be aware of scams that are going around, share this information with your neighbors, in particular the elderly. Look out for one another! close your blinds pointing up--go outside at night and see how much you can see through blinds when they are closed "down" vs. "up"
when you get home, look at your house from the end of your driveway. What vulnerabilities do you see? Several handouts were distributed at the meeting. These are now posted in the Neighborhood Watch Page.